Home Get WebRTC How-To Tips, Advice & Updates Sent Right to Your Inbox! 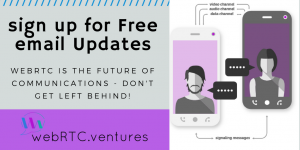 WebRTC is the future of communications and we don’t want you to get left behind! Learn from our globally recognized webRTC experts with decades of experience in web application and software development and over 200,000 hours invested in building real-time applications (they write many of our blog posts!). Find out if a webRTC video and audio chat application could be right for (and benefit) your business! Our skilled team has developed unified communication applications for web browser, iOS and Android native mobile apps, and even Google Glass! If you need any assistance with design and development of real-time applications of any sort, or have any questions, don’t hesitate to contact us!